To be fair, I follow more than five authors on Twitter. But these five are perhaps the most prolific when it comes to tweets and oftentimes the most entertaining. They’re also really good about interacting with readers. So check them out! Ashi’s tweets might seem like normal quotes or sayings that could be floating around Twitter elsewhere. But her sarcastic commentary makes the tweets so much more interesting. I can always count on her posts to make me smile whenever I see them. Maureen Johnson, or Auntie MJ as she often calls herself, posts pretty regularly, and her tweets shouldn’t be missed. She discusses the antics of her puppy (Zelda), the importance of feminism in publishing and the world, and oftentimes it’s just pure randomness. Sarah’s Twitter is different from the first two authors on this list because her tweets tend to focus on her daily life. She gives her readers and everyone else a glimpse into the everyday lives of writers. Laurell tweets pretty regularly during the day, and she interacts with her followers and fans on a regular basis. She’s not shy about voicing her opinions on a variety of topics or to call out other Twitter users on behavior. While Patricia Cornwell doesn’t tweet nearly as much as the other authors on this list, but I enjoy seeing her tweets. A lot of her research for her books shows up on Twitter. Pictures of her flying a helicopter and scuba diving appear, and she talks about visits to Quantico on research. Are you on Twitter? Which authors do you follow? 1. Kay Scarpetta: A forensic anthropologist, a coroner, and crime solver, Kay Scarpetta is an educated woman who works in a male-dominated field. She shows that women who are over thirty are still forces to be reckoned with. 2. 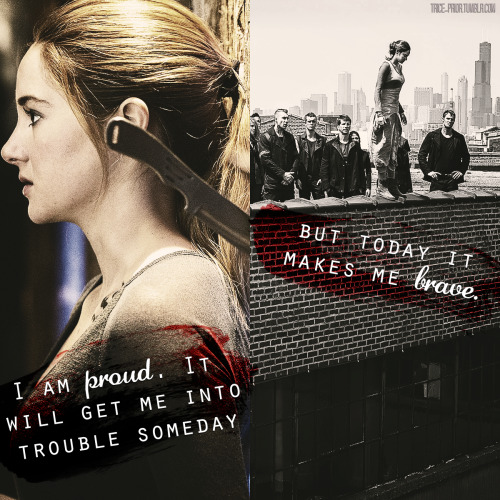 Beatrice “Tris” Prior: Tris may be a teenager, but she’s a lot braver then men and women twice her age. She makes the decision to be true to herself even if it hurts her family and understands that people shouldn’t be labeled. 3. Mary Russell: Russell will always have a special place in my heart because she’s a woman who doesn’t think of being female as a reason not to become the partner to fictions first and only consulting detective. 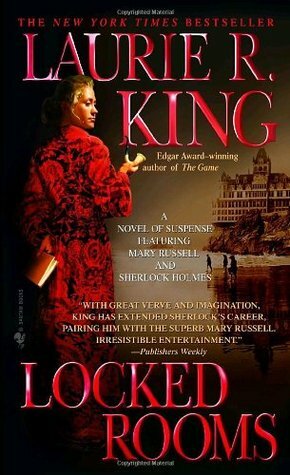 While she falls firmly into the Mary-Sue trap during the first few novels in the series, she is beginning to prove herself to be a stellar detective in her own right. 4. Scarlett Martin: I just read this book, and Scarlett Martin has become one of my favorite YA characters. She’s slightly awkward, makes mistakes, and tries her best. She’s the kind of person that I wish I’d known in high school. 5. Anita Blake: Anita is a pretty strong woman: she raises the dead from their graves, fights monsters that range from the vampires to were creatures to zombies. Yet she’s still vulnerable. She admits to being terrified in a fight. and she sleeps with stuffed penguins. 7. Scout Finch: Scout shows that you’re never too young to do the right thing, even if it’s an unpopular choice. She also is a great example of how our family shapes us as we grow up. 8. Sam: Sam refuses to let her past define her. She understands that she made mistakes, and she does her best to learn from them. She’s still not perfect when Charlie meets her during his freshman year at high school. I love her because she has grown, will continue to grow, and strives to be herself. 9. Irene Adler: Irene Adler has been portrayed so many times over the years that it’s hard to remember who she was when she appeared in “A Scandal in Bohemia.” She wasn’t a hardened criminal who nearly ruined a member of the Royal family out of malice. She loved him. And while that may seem like a cliche reason for a woman to commit a crime, the reason I included her on this list is that she was the only woman in Sir Arthur Conan Doyle’s stories to outsmart Sherlock Holmes. That is a feat in itself. Who are your favorite female characters? How have they influenced you? And are there any awesome women I should read about? Let me know in the comments below.